At Marian College, Vocational Nursing is our core program. 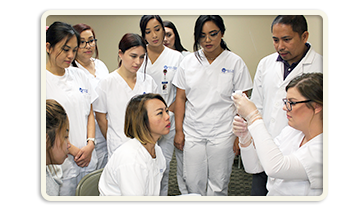 On campus we provide a dynamic curriculum which emphasizes mastery of the theoretical framework of nursing. Correspondingly, nursing students are equipped with nursing skills. A hands-on off campus experience of caring for actual patients completes a training propelled with our three-fold motto of Excellence, Commitment, Service. Launch your nursing career at Marian College through in-depth interactions with instructors whose passion for nursing is a way of life! Beyond our Vocational Nursing Program, we also offer CPR Classes, and Intravenous Therapy and Blood Withdrawal Certification Program.